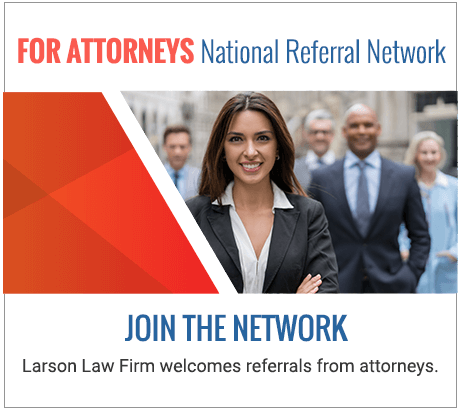 Statute of Limitations on Personal Injury Claims | Larson Law Firm P.C. Personal Injury Claim? The Clock is Running! Have you have been injured by another person and want to know how long you have to file a legal claim? To answer that question, you have to look at our statute of limitations. A statute of limitations is the time period in which you have the right to file a lawsuit to recover compensation. If the deadline has passed, that right may be lost forever. In North Dakota, the amount of time varies by the type of injury case. You generally have six years from the date of the injury to file a personal injury case in civil court. Different deadlines apply for wrongful death cases and medical malpractice cases. For wrongful death cases, the family or representative of a deceased person whose death was the result of alleged negligence has only two years to bring a wrongful death claim. North Dakota allows two years to bring a medical malpractice lawsuit against a doctor or hospital. The two-year period starts when the patient discovers the injury, or should reasonably have discovered the injury and the health care provider’s alleged negligence. The statute of limitations shall not be extended beyond six years unless fraudulent conduct by a doctor or hospital prevents the discovery of the injury. Special rules apply to cases involving government agencies. The statute of limitation is three years to file a case against the State of North Dakota or a governmental agency, and a notice of claim must be filed in advance. The periods of time, outlined in the statutes of limitations, may sound like a long time, but lawsuits take time to investigate and develop. You have to move quickly if you hope to recover fair compensation. Waiting to move on your claim could mean evidence has been lost and it could seriously hurt your chances for success. It is smart to begin the process right away after an accident, as even simple lawsuits require extensive proof. The supporting evidence must be gathered and preserved so that no critical piece of data is lost or destroyed. Eyewitness statements are an important form of evidence, and the earlier witness statements are taken, the better it could be for you. The memories of the accident will still be fresh. You should write down everything you remember, as it is natural for your memories to fade over time. An independent accident investigator may need to look at the vehicles that were involved in an accident to determine what actually occurred and which person was at fault. The accident scene itself could also be extremely important to the outcome of a case. Follow the prescribed medical treatment as ordered by the doctor. Contact a trusted law firm that has a track record of high value settlements and verdicts to assist you. Document any aspect of the accident that you can, including the accident report from police, medical reports, and other data. Keep the information in a safe, easy to find place. Collect the contact information from any witnesses, including their names, addresses, phone numbers, and email addresses. Do not admit fault or engage in confrontational behavior with the responsible party. Never sign a release with an insurance company that has made a settlement offer until your lawyer reviews the offer. It is likely far lower than it should be – do not become a victim of this practice.